I think the image is adorable. 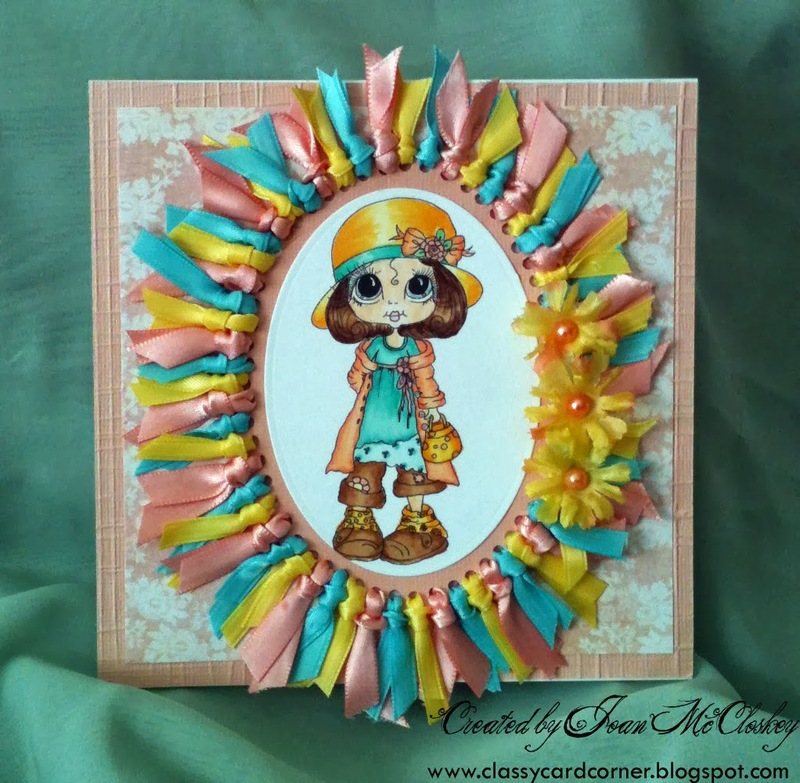 She is from our generous sponsor Sherri Baldy, Scrapbook Stamp Society, and she is called Millie Mae. I think she's a real cutie and the sentiment I used inside the card was "I Miss You" and thought she was perfect. All the ribbon and the flowers are from my stash. And for the Awesome News!!! The winner will receive 5 images!!! How awesome is that? Get your card or creation posted and YOU could be the next winner!!! So get Scrappin' to make it Happin' !!!! !